This workshop will be devoted to the Political Theory and Philosophy of Niccolò Machiavelli. 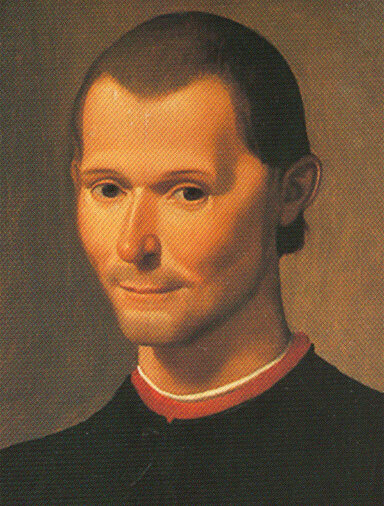 Machiavelli is one of the most influential thinkers of the Western political tradition. Every single political philosopher who comes after him refers to him, either implicitly or explicitly. Every serious politician is, sooner or later, confronted with some of the practical problems Machiavelli addresses. Five hundred years after his death, Machiavelli is ubiquitous but enigmatic: often quoted, but rarely understood, his ideas frequently reduced to a few maxims from The Prince. 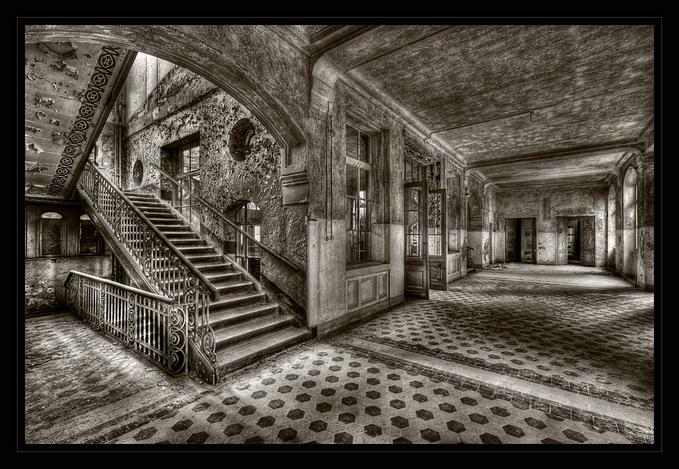 The proposed workshop combines a historical perspective with a theoretical approach. It aims at examining the theoretical problems Machiavelli raised, problems critical not only for the early modern age but for all subsequent Western political theory. – The Secretary of the Republic: Machiavelli and the Crisis of the Late Renaissance. – Sempre vi fu chi serve e chi comanda: The Early Writings. – The verità effettuale della cosa: Machiavelli’s Ontological Realism. – Grounding on the Void: The Origin of Politics and Constituent Power. – The Criticism of Common Good and the Humanist Tradition. – Theory of Tumult: Law, Conflict, and Political Order. – Fortune as Occasion: A Theory of Contingency. – The Ordinanza: Military Reform as Political Revolution. – History as a Kampfplatz: Historiography as a Political Theory. – Parole ignominiose: Problems of Language and Translation. – In a Materialist Way: Machiavelli’s Philosophy. – The Criticism of Liberality: Politics and Economy. – The Poverty of Rhetoric: Repoliticising Machiavelli. – Demos and Kratos: Machiavellian Democracy and Theories of Popular Participation. – Sources: Plato, Aristotle, Lucretius, Livy, Polybius, Tacitus, Cicero, Averroism. – The Conflictual Heritage: Vettori, Guicciardini, Gentili, Le Roy, Gentillet, Campanella, Bacon, Descartes, Hobbes, Harrington, Spinoza, Bayle, Frederick II, de la Houssaye, Montesquieu, Rousseau, Hegel, Fichte, Quinet, Croce, Gramsci, Arendt, Strauss, Althusser. 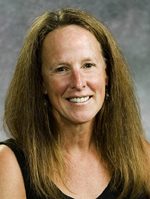 Wendy Brown is Professor of Political Science at the University of California, Berkeley, where she is also affiliated with the Department of Rhetoric and with the graduate programs in Critical Theory and in Gender and Women’s Studies. Professor Brown’s fields of interest include the history of political theory, 19th and 20th century Continental, critical, and cultural theory (including feminist, critical race, and postcolonial theory). She is best known for interrogating formations of power, political identity, citizenship, and subjectivity in liberal democracies. Her current work focuses on the relationship of political sovereignty to global capital and other transnational forces, including those associated with religion, law, culture and moral discourse. ‘Political activity’, claims Jacques Rancière, ‘makes understood as discourse what was once only heard as noise’. Central to radical politics, then, are inventive rhetorical practices: mobilising critique, disrupting dominant forms of discourse and generating new forms of argumentation to win new audiences. But what are the contemporary sources for a radical political rhetoric? Who performs radical critique and how? In what respects does the current crisis demand inventive rhetoric and to whom should these arguments be directed? Should radical politics be conceived as an argumentative practice at all? Can occupations and demonstrations effectively persuade and mobilise opinion? When does protest stop being just ‘noise’? I am currently formulating a proposal to establish a Political Studies Association specialist group on Rhetoric and Politics and am scouting for potential members. If accepted, the group will have regular panels at the PSA conferences and funds to organise seminars at other times on theoretical and empirical themes that you might be interested in. The more members I can list on the proposal, the more persuasive it would be! If it isn’t obvious by your email, let me know your institutional affiliation so I can flag that in the application along with your name. For the better part of a decade the position of Italian thought in the Anglo-American academy has increasingly grown in importance. From issues as far ranging as bioethics and bioengineering, to euthanasia, to globalization, to theorizing gender, to the war on terror, works originating in Italy have played a significant, perhaps even the dominant, role in setting the terms and conditions of these debates. Indeed it might well be that no contemporary thought more than Italian enjoys greater success today in the United States. If twenty years of postmodernism and poststructuralism were in large measure the result of French exports to the United States — Derrida, Lacan, Deleuze, and Foucault — today a number of Italian philosophical exports are giving rise to a theoretical dispositif that goes under a variety of names: post-Marxist, posthuman, or most often biopolitical. Yet the fact that Italian thought enjoys such enormous success in the United States and elsewhere begs an important question, one put to me polemically recently by a prominent Italian philosopher. Is there really such a thing as contemporary Italian thought? And if there is what in the world do its proponents have in common? By way of responding, it might be useful to recall some details about the recent reception of Italian thought in the American academy. In the aftermath of the end of the postmodern — which a number of American observers savored as spelling the end of the use and abuse of philosophy by large numbers of literary critics — two works appeared in English within a span of three years: Giorgio Agamben’s ‘Homo Sacer’ and Michael Hardt and Antonio Negri’s ‘Empire’. Stepping into the void left by the departure of what in the United States was known as “theory,” these works made a number of bold theoretical claims about the relation between political power and individual life (Agamben) and globalization and collective life (Hardt and Negri), claims that uncannily – sometimes almost prophetically – addressed some of the most pressing issues in our current state of affairs. Equally a number of important works of Italian feminism appeared over roughly the same period. Works by Adriana Cavarero and Rosi Braidotti, among others, deeply influenced a whole generation of American theorists in fields like gender studies, political philosophy, and law. Looking back it’s difficult to overestimate the influence of all these figures when accounting for the intellectual success of Italian thought today. Certainly it became possible for other voices to be heard, Paolo Virno, and more recently Franco Berardi, Roberto Esposito, and Maurizio Lazzarato among others. But to take up again the question at hand: what do authors as seemingly different as Agamben and Negri, Berardi and Esposito, Braidotti and Bodei, or Cavarero and Virno have in common outside of the mere fact of writing in Italian? Beyond a common language, is there, for example, such a thing as a common Italian philosophical tradition of which they are all a part? Some, most notably, Mario Perniola, would say yes, one found in the elements of repetition, transmission, mixture, and body that together forged an Italian philosophical culture over the last 300 years. Deleuze and Guattari would have said no, arguing that Italy has historically “lacked a milieu” for philosophy. For them the reason for this lack could be found in Italy’s proximity to the Holy See, which continually aborted philosophy across the peninsula, reducing Italian thought to mere rhetoric, philosophy’s shadow, and allowing only for the occasional “comet” to briefly light up the philosophical sky. Yet what if Italian thought today does in fact enjoy a milieu? What “event” or “events” in the recent past might have fashioned a milieu for the emergence of Italian thought? What would the features of that milieu look like? Undoubtedly, the decade-long Italian 1968 would have played the decisive role. The votes on abortion, the emergence of counterculture and student and feminist movements, and changes in labor and production all deeply changed the space in which politics — as well as philosophy – was practiced. Indeed one of the central features of the Italian 1968 was precisely the emphasis on politics as philosophy and philosophy as a form (among others) of politics. We can see this in the place 1968 and 1977 awarded political militancy; in the increasing prominence given to questions of subjectivization; and more broadly in the birth of new forms of social and political life separated from those that had previously dominated. Yet Italy’s long 1968 wasn’t enough on its own. It was only with 1989 and the fall of the Berlin Wall that politics and philosophy truly begin to pass intensely into each other, to stay with the language of Deleuze and Guattari. Although it may seem less the case for those writing in Italy, when seen from the outside 1989 was experienced as trauma more in Italy than in the rest of Europe. The result forced a number of thinkers to re-examine the fundamental political and philosophical categories that had underpinned decades if not centuries of thought: what meaning would the end of a certain form of common life have for politics, for philosophy, for culture? Such a calling into question of the previous understanding of the common had the effect of reterritorializing politics and philosophy under new terms and new problematics, one of which will be “life,” broadly speaking. It is only when 1968 is considered as the motor for deterritorialization of the common in political theory and philosophy and 1989 as the turn toward its reterritorialization as newly mapped by (among other things) biopolitical theory that something like a milieu is constructed for contemporary Italian thought. This is not to say that proponents of Italian thought share the same understanding of the common or even celebrate it. Clearly they do not. Yet the centrality of the common raises a number of questions about Italian thought and Italian public life today. What does it mean to be or have in common in 2010? What are the effects of questioning the weight of shared life and what possible futures are there for the common? How might singularities be thought together so as to create new forms of life and what kinds of co-habitations or contaminations might reinforce these new forms of life? These kinds of questions are ones Italian thought, in all its diversity, has placed at the forefront of contemporary theory, questions that in turn raise fundamental questions about the nature of relationality and of a politics that would seek to strengthen relations and to extend them in order to create yet further relationality. Such is the force of Hardt and Negri’s discussion of the capacity for love near the end of Commonwealth, though one can well imagine others, including a capacity for play, for attention, and for compassion too. Yet the relationality implicit in these new forms of shared life doesn’t only lead to greater and more positive capacities for relationality among singularities. The deterritorialization of the common as biopolitics, the posthuman or even insurrection by no means conjures away the specter of power; thus with greater capacity on the one hand comes the possibility of more intense and invasive forms of power on the other. The question then becomes: how are new forms of the common that are being forged today — shared singularities, mirror neurons, impersonality – also being reterritorialized and recontained, and by whom? Is it possible that more intense forms of relationality might signal a return to the very terms that earlier critiques of the common had attempted to uncover? On the one hand the recent success of social networking sites like Facebook suggests that new forms of virtual relations involving vast numbers of “friends” are not only possible but involve ever greater exposure to others. On the other hand such exchanges continue to be premised on the notion that my body and my opinions belong to me, what the Invisible Committee unforgetably characterized as treating “our Self like a boring box office,” using whatever prosthesis is at hand “to hold onto an I.” In such a neo-liberal scenario, the circulation of information, of goods, of persons, of persons as goods is taken to mean a return to a common mode of being-together. It’s a film we’ve seen countless times before: the common’s reinscription in contexts less open to affect that are continually based upon a conflation of connnectivity with more open modes of relating. These questions among others will be the foundation for a two-day conference sponsored by the journal Diacritics to be held on the campus of Cornell University on September 24-25, 2010. The conference, titled “Commonalities: Theorizing the Common in Italian Thought,” will bring together a number of Italian voices so as to think together not only the relation between Italy and the common but to consider emerging forms of the common and common life today as well as consider the efficacy of a term like the common for a progressive (bio)politics. Equally, the event, the first of its kind of recent memory in the United States, is an occasion to register the state of Italian thought today. When seen from the other side of the Atlantic, no other contemporary thought more than Italian seems better suited today to offer what Foucault called an ontology of the present. At a minimum, and pace my doubting Italian philosopher, the editorial and intellectual success of Italian thought merits a closer look. Featured at the conference will be some of the leading philosophical figures from Italy today, including Franco Berardi, Remo Bodei, Cesare Casarino, Ida Dominjanni, Roberto Esposito, Michael Hardt, and Antonio Negri. The conference will be transmitted over the internet at http://www.commonconf.com. A number of Cornell students will be blogging the conference live over the two days. A seminar organized by the Goldsmiths’ Centre for the Study of Global Media and Democracy and the Centre for the Study of Culture and Politics, University of Swansea. Persuasion is one of the most fundamental of democratic political activities. But it is also one of the most ambiguous. Does democratic development and expansion require the slow substitution of persuasion or rational conviction or, on the contrary, the proliferation of opportunities for rhetorical contestation? Where is the line between persuasion and force? Are there standards of truth or consent that guarantee the democratic character of a persuasive activity? What forms of rhetoric distinguish a democratic polity from tyranny? What happens to political persuasion in an economy and culture dominated by commercial persuasion? How can we best understand and analyse the forms, modes and locations of contemporary political rhetoric as manifested in visual and media cultures? This interdisciplinary seminar explores the modes of democratic persuasion, the methods for its explication and interpretation and the prospects for rhetoric both in the academy and in the contemporary multifaceted polis. The event is free and open to all but please contact James Martin (j.martin@gold.ac.uk) if you’d like to attend.